Give a gift voucher for our Lofty Descents tour. 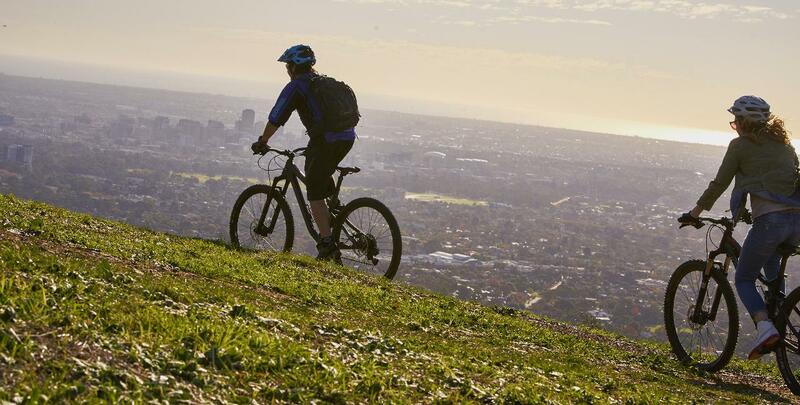 Ride from the summit of Mount Lofty on mountain bikes all the way down to Adelaide, though stunning native bush, and enjoy a visit to Cleland Wildlife Park along the way. Spot koalas in their native environment, and see kangaroos and emus during the ride. Voucher valid for 12 months. Tours run 3 times a week. Difficulty -Beginner level mountain biking ability, prepare to be challenged. Riders should be 'competent' cyclists, happy to ride for about 90mins on a mix of rough, off-road terrain. If you are an experienced mtb rider contact us for options- a private guiding trip or alternative ride down may be more appropriate. The only tour in Adelaide with a money back guarantee if you don't see a wild koala!